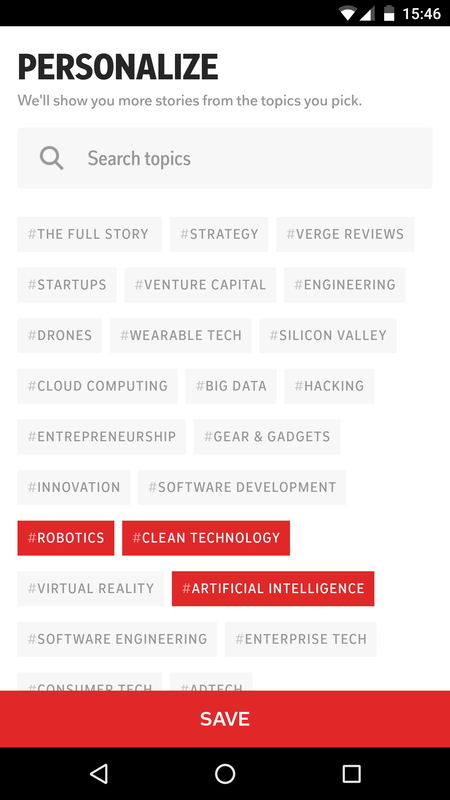 The three pillars of Flipboard. From left-right: profile and following, cover stories, and what's your passion. The huge update, which appears to reach almost every part of the service, is focused on a swiping mechanism for the homescreen. 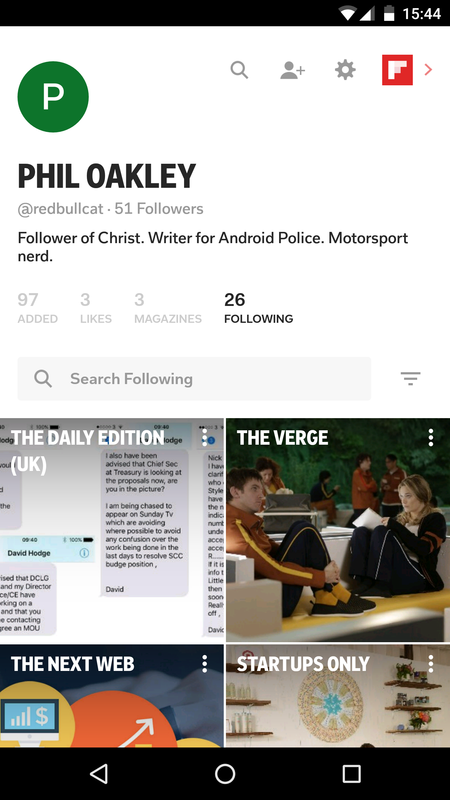 On the left-most screen, you've got the things you follow - publications, magazines set up by individuals, and other users - plus your own personal profile. 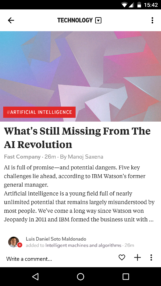 On the next screen, there's Cover Stories; news that Flipboard's has algorithms surfaced, curated by the company's staff, which it thinks you'll like based on what you read and follow. On mine, I've got some science, some British sport items, Lego Ninjago Movie trailer, and some tech news. The final screen, on the right-hand side, is focused on discovering new things. 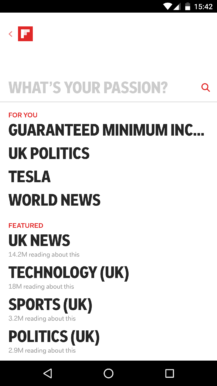 A search bar asks "What's your passion?," along with a list of things Flipboard thinks you like or are interested in. 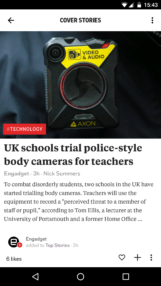 Searching for something - I chose 'technology' from the pre-provided list - will show all articles related to said search item. 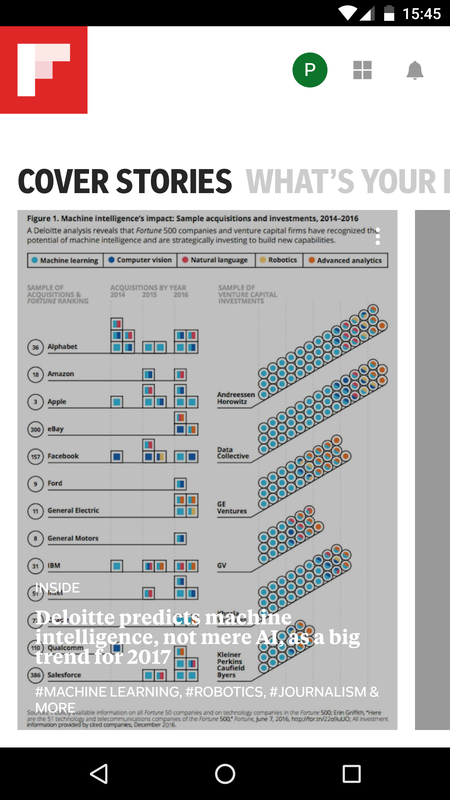 More things can be added to this search, personalizing the custom-made magazine until it's yours. 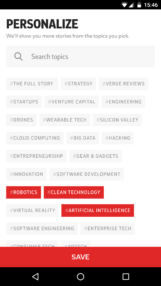 I added 'Robotics,' 'Artificial Intelligence,' and 'Clean Technology' to mine. The result was a pretty good guess at what I like to read about, although some of the stuff I inevitably wasn't interested in. 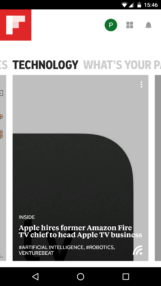 These personal magazines will then add themselves to the main homescreen of the app, of which up to ten can be added, and rearranged as users see fit. 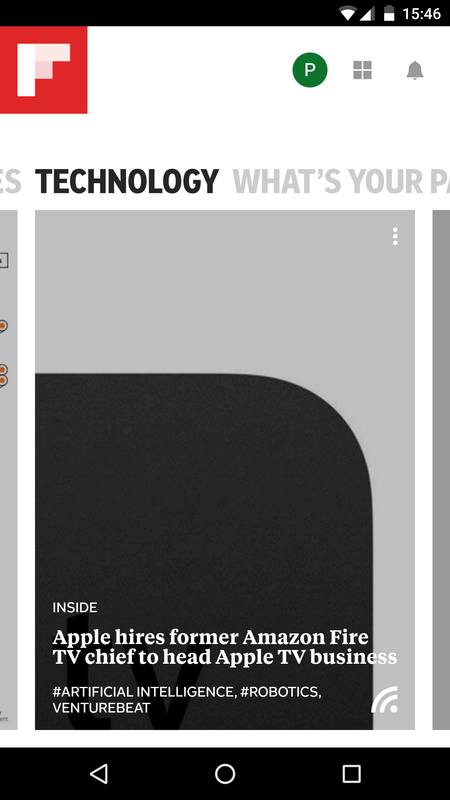 Different sections of the new Flipboard. 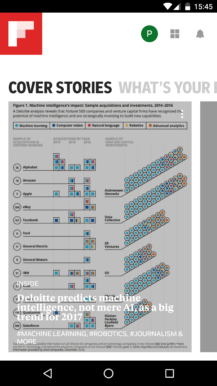 L-R: an individual cover story; personalizing a magazine, a magazine in the homescreen carousel, and a story in said magazine. 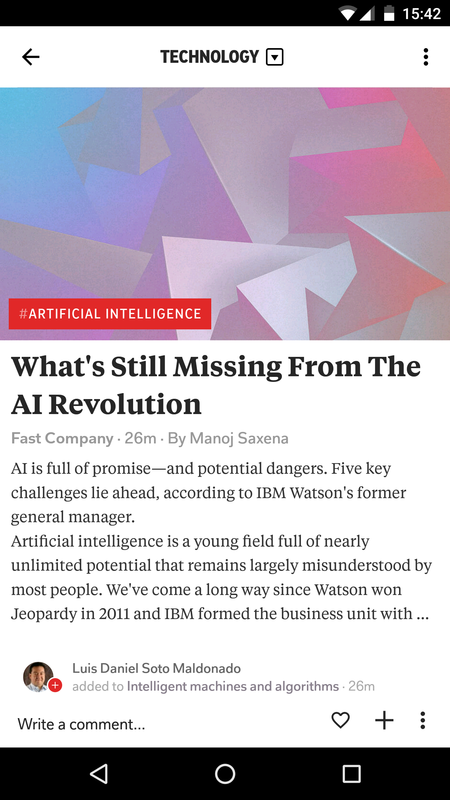 While Flipboard's overall aim seems to be the same - news reading - the company appears to have put on some new glasses, adding in a lot more options to personalize what the app surfaces for you, instead of the individual needing to go hunting for that. I like this approach; it's less effort, for one, and it finds things I wouldn't normally read. 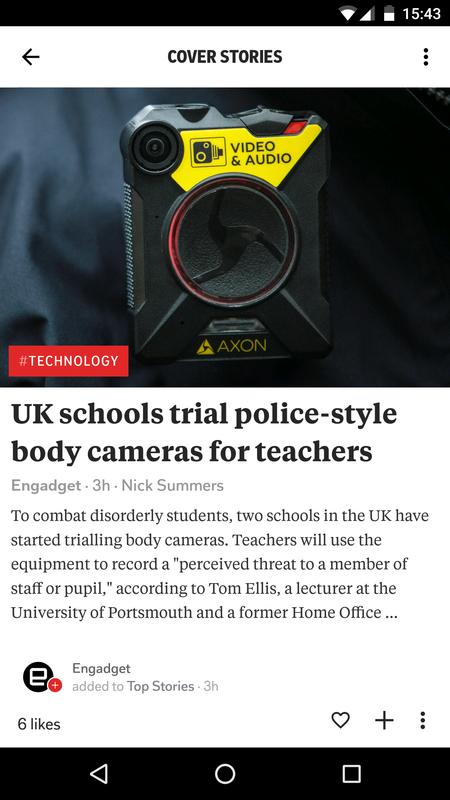 While it does have issues, mainly around the slightly complicated interface, I think Flipboard has a good thing on its hands here. 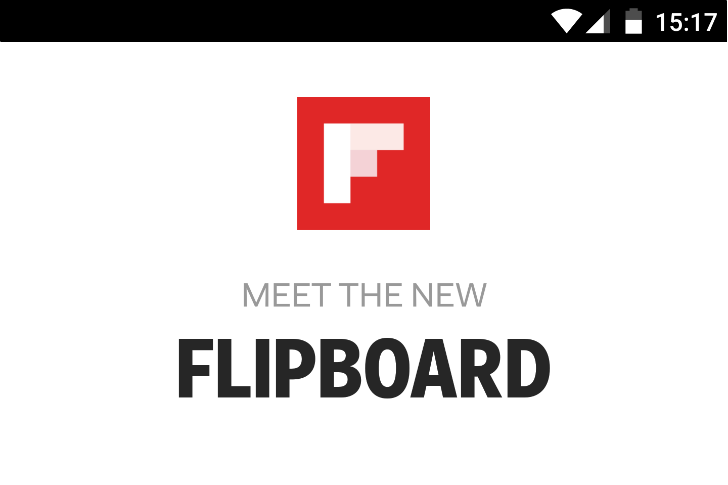 Flipboard v4.0 is available on the Google Play Store, or at APK Mirror.